The Heartbreak Motel conquer Berlin! "Black Widow", the radio single from the new album "Handguns Make The Most Love" is set on GOLD rotation (20 plays / week) at Motor FM, the trendradio station no. 1 in Berlin and Stuttgart. Two month ago the track starts with only a handful plays the week and captured the favour of the listeners in impressing manners. The next concert highlights are the appearances at Tomahock Open Air in Geislingen, Germany, at Bunkerpop in Landgraaf, The Netherlands and the Schools Out For Rock 'n' Roll Festival in Neuss, Germany. Click here for the tour dates. "...Handguns Make The Most Love is a impressive, varied album, which finds exactly the correct balance between energy, melody and hardness, which such a record needs and which holds the high level from the beginning to the end..."
"...the mix of calm, inconspicuous songs and the total rock power is very successful, present musical talent is fully and completely used..."
"...the boys betray their German origin at no time and can accordingly state with pride that they are qualitivly on eye level with national stars like Beatsteaks…Respect!…"
Here you can find more results from the press. 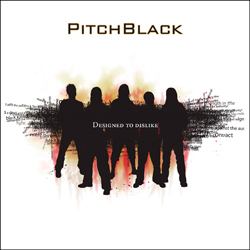 PitchBlack - "Designed To Dislike" out now in the UK & USA! The debut of our danish metalheads is now released in the United Kingdom and the United States. The interest of the press can absolutely be able to be seen. Inquiries from Scotland to Arizona,USA reach us. "Designed To Dislike" will soon be available in Germany, Austria and Switzerland, too. At our myspace profile you can now hear into two tracks and you can download the song "Angelized" for free! Check out the current issue of German Legacy magazine where you can read an interview with singer DanIhjel! 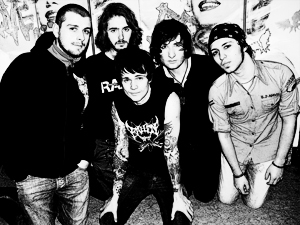 PitchBlack will tour across Europe in autumn 2007. Keep your eyes open! DEVIATED PRESENCE - The resurrection! "After a long search the familiar lineup of three members has found together again: Stefan Leushacke (Stormgarde, Inyou) on the bass has found his way into the complex worlds of DP-pieces, furthermore Anne Schaefer on the guitar with only 16 years of age and three years of playing experience gives the sundry competitors a good dressing down. She also shows great talent and proves that the pieces are not at all too complex, if the musicians involved bring along the necessary abilities. Both will assume vocal parts like their predecessors. The material for the third album "Fractured Mind" is almost complete, and when the new members are fully trained, it can be recorded." Limited Access Records released the following cds in the UK - LAST MEN STANDING - "Ghost Notes" MCD and EXOTHERM - "Project 47" Digi-CD. Order the cds at Plastic Head Online Store or at your favourite record store. 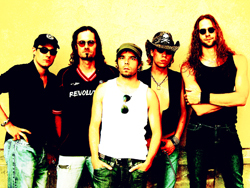 Singer Nick Harras left the ADRENALINE KINGS. For next time guitar player Matthias Schneider will do his job.